Evelyn Dabritz hasn’t made the cover of People Magazine, nor has TMZ shouted out Dabritz’s latest headlines. 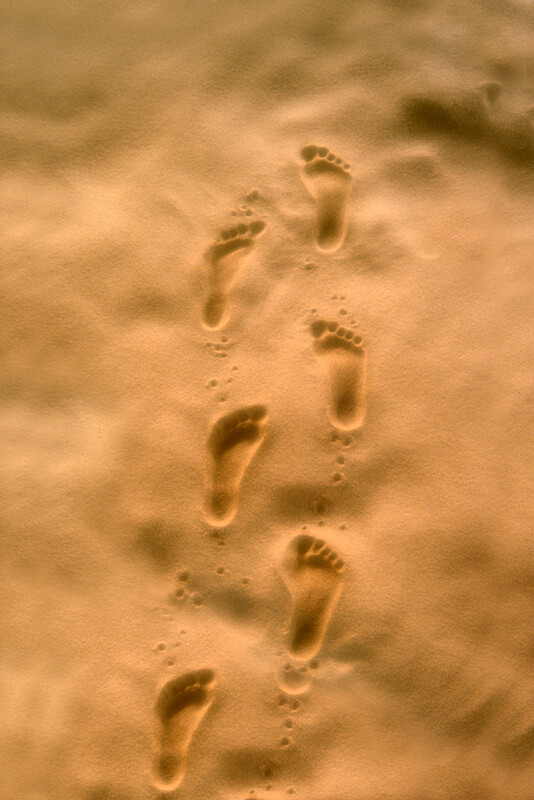 Yet her priceless footprints leave a significant trail of adventure and knowledge. I like writing about people like Evelyn Dabritz as opposed to chasing pop media royalty who offer nothing but noise. Their insignificant steps don’t even leave footprints behind. The first time I experienced Evelyn’s footprints is when they left me in the dust. I joined a “mature” women’s walking group. I struggled to keep pace. On my left a sun-kissed woman with muscular and shapely calves zoomed past me—uphill. “Can you believe that woman is 79-year-old,” my panting walking partner commented. Evelyn, almost 20 years my senior, was the walker who just dusted me. When we piled into our carpool ride home, embarrassed at my inability to keep up on the walk, I commented that I’d obviously been at a desk for too many years. Evelyn, who knew from a previous conversation that I was taking anti-cancer medication explained, “It’s the drugs you are taking. They zap it all out of you. Don’t worry, it will come back soon enough.” Wow. I never considered the drug side effects, and how thoughtful of her to say something to soothe my embarrassment. But that’s Mrs. Dabritz, who celebrated her 80th year hiking about Thailand, volunteers as a docent for several nature-based organizations, leads nature hikes along the Pacific coast, and just published a third in a series of children’s nature books. 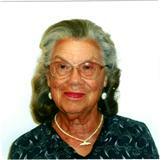 Officially, Evelyn retired from 24 years as an early education teacher in Whittier, Ca. As a veteran docent ambassador for a new coastal hiking trail, she recently told a local reporter that she’d rather interact with visitors because “It is a nice peaceful way to spend a Sunday afternoon, rather than in your rocking chair.” I’d bet that her rocking chair probably remains in like-new condition. The coastal hike that I’m sorry I missed was in April when Evelyn and her husband of 60 years, David Dabritz, led a walk near Morro Bay, Ca, for the Nature Conservancy called “Let’s See What’s Hidden.” After studying her three children’s nature books, ” Bonnie Barnacle Finds a Home,” “ How the Innkeeper Worm Got a Full House,” and her newest release, the “Kelp Condo Crisis,” my curiosity surfaced. The picture books (each illustrated by Isobel Hoffman) explore the tiny and near-hidden elements of marine environments. 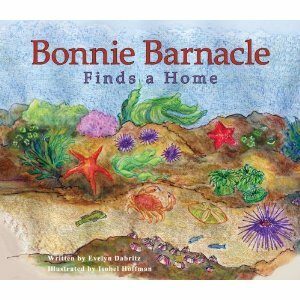 Her books are usually found in coastal state park nature stores and natural history museums. Schools use her books, two of which were the result of grants from the Morro Bay National Estuary Program for marine science education, which is timelier than ever before, considering the need for more marine scientists to find ways to help our oceans survive their current ecological assaults. But Evelyn doesn’t wait around for grants and such. She and illustrator Hoffman, actively promote their books and are part of an August panel featuring children’s authors and illustrators who will discuss how they researched, wrote, developed and refined their children’s books. When she’s concluded that project, one will find her chatting with visiting children in the nearby natural history museum, explaining marine mammals to coastal visitors, or walking along trails fortified with information about the birds, mammals, reptiles, flora and fauna found and eager to share her knowledge. “I’m thinking of writing another children’s nature book about pelicans,” Evelyn added. Today she works out at a fitness center four to five times a week, and plays tennis twice a week with a group. “Most of us are 80 or over and it is not pitty-patty tennis!” Evelyn exclaimed. Popular culture media will likely overlook Evelyn’s imprints, but her marks remain indelible. Charmaine, I missed this one last week… I hope I get around half as good as Evelyn when I reach her age….What a cool lady and such a delight to be around her. Good job on telling her story! Thanks. And I didn’t even tell half of what she has done and does.